Painted sign on reclaimed barn wood. 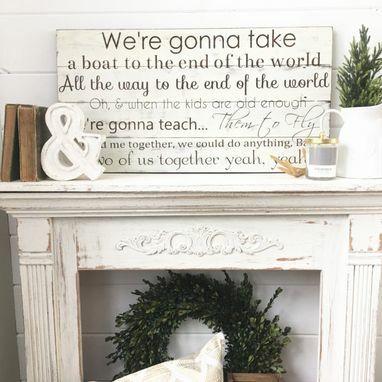 Lyrics to Dave Matthews song "You and Me"
Colors: Cottage White with Dark Walnut letters. Keyhole drilled on backside for hanging. *can add date in the bottom right corner. Just leave in notes upon checkout.